The Bio-Sweats Sauna Suit Jacket is a high-end sauna suit jacket made with our double layered Poly-Bio-Flex fabric (NON-NEOPRENE) to make you sweat twice as much while shaping and sculpting the upper body. The easy-zip front and mock neck provide complete coverage while also making it easy to slip on and off for an effective workout. The hour-glass shaped waist helps cinch the waistline and eliminates the appearance of unsightly rolls of belly and back fat. The attractive contrasting stitching and color block design gives the jacket sleek style and helps contour the upper body. Our Poly-Bio-Flex fabric helps tame and train the midriff with snug semi-compression fit, while sculpting an hourglass figure comfortably. BioSweats Sauna Suits provide intensive sauna therapy by using your natural body heat to speed up your metabolic rate from any type of low or high-energy physical exercise. 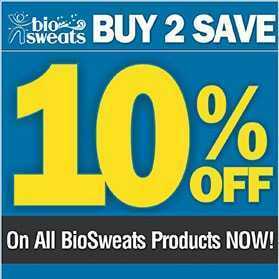 BioSweats increases perspiration 70% more during your workout. 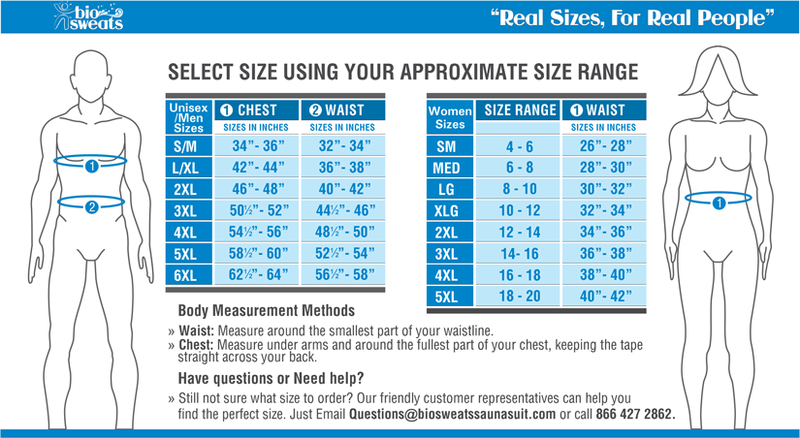 BioSweats Sauna Suits are available in a variety of comfortable Real Sizes such as: S/M, L/XL, 2XL, 3XL, 4XL, 5XL The BioSweats sweat excretion process through perspiration stimulates the entire body, thus helping to rid the body of not only excess water weight gain, but evenly helps melt away unwanted body fat and stubborn inches. 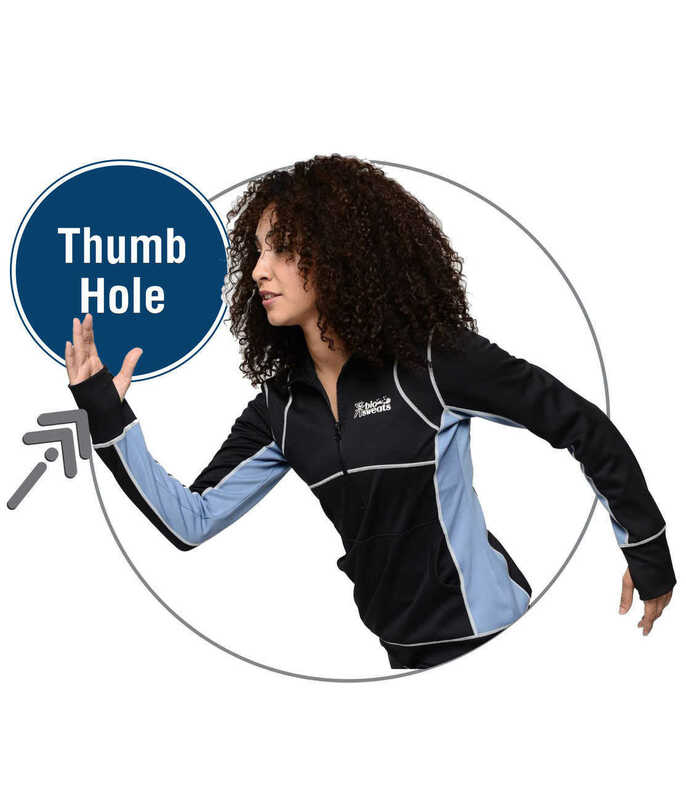 Bio-Sweats Multi-Purpose Sauna Suit is designed with Poly-Bio-Flex a water resistant fabric that is recommended by dermatologists for patients who suffer with skin conditions such as Psoriasis. Bio-Sweats aids in protecting irritated skin rashes facilitate healing, and increases topical ointment and medicated cream absorption. Bio-Sweats when used for Occlusion or as a moisturizing treatment keeps the skin warm and damp; therefore, increasing the therapeutic effects and relief on dry skin, severe Psoriasis, helps decrease redness, scaling, skin lesions of Lupus erythematosus, chronic Dermatitis, and many other irritating skin conditions.The Bio-Sweats Multi-Purpose Sleep Sauna Suit can also be worn during the day just as regular clothing because of its comfortable & fashionable design. Sizes range from Small up to 5XL. Patent-pending POLY-BIO-FLEX fabric increases sweat output while enhancing the bodyÃ¢€â„¢s ability to burn fat for energy much faster. Through heat retention to the muscles; POLY-BIO-FLEX fabric helps decrease the chances of soreness, fatigue, muscle swelling and muscle damage. Our Bio-Sweats heavy duty sauna suit jacket is designed with Poly-Bio-Flex to hug and sculpt the feminine curves of the womanÃ¢€â„¢s body. 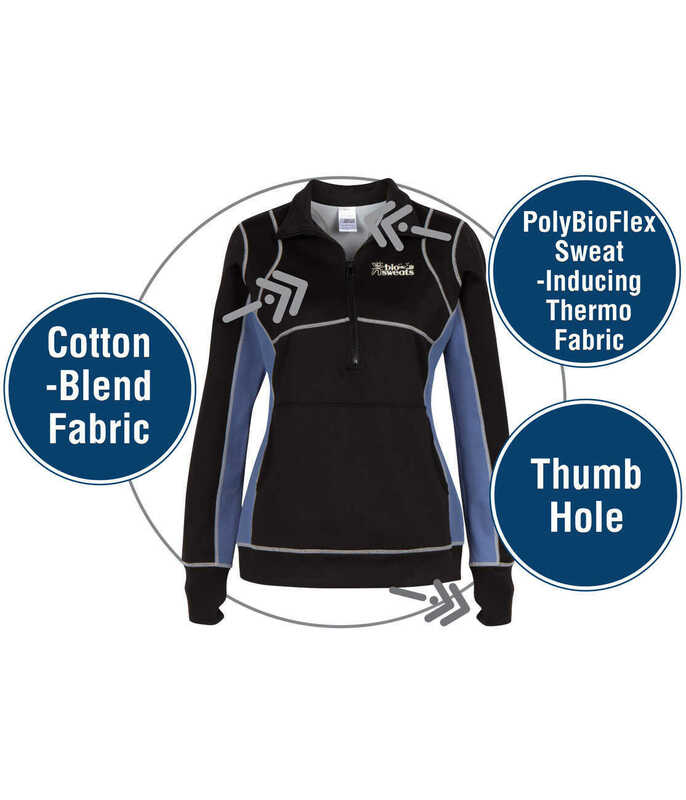 Poly-Bio-Flex fabric helps to eliminate the appearance of midriff bulges. The ultra feminine shape targets weight loss in problem areas such as arms, back, stomach, and waistline area while supporting and sculpting a slimmer midriff. Stylish block design to create the appearance of a slimmer physique. The comfortable dual stretch-compression fit is both supportive and flattering. 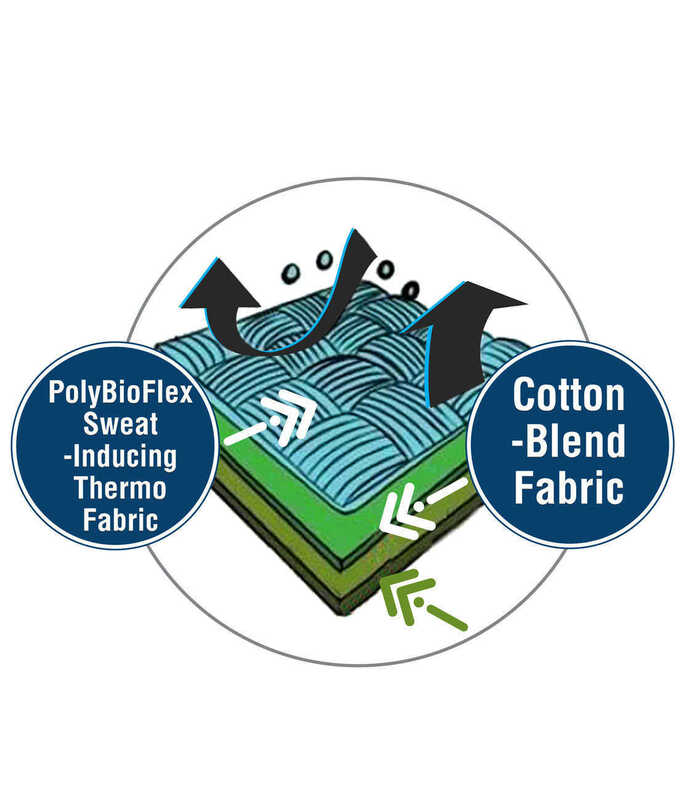 Poly-Bio-Flex fabric slightly compresses target areas while freely stretching with natural body movement during exercise. Shaped to target arms, back, stomach, and waistline area while supporting and sculpting a slimmer midriff. I'm really pleased with my purchase. The jacket doesn't have much stretch to it, but if you get the right size it will fit and work fine. I've lost over 21 lbs over a two month time period working out in this jacket and I'm really happy about my results. It's really worth the money if you're serious about losing weight. The quality of the jacket is also the best I've seen. GO FOR IT!